American Idol 2015 premieres this week with auditions from across the country to find the next great superstar like Kelly Clarkson, Carrie Underwood, and Phillip Phillips! The first American Idol spoilers on the 2015 contestants for Hollywood Week are already here. 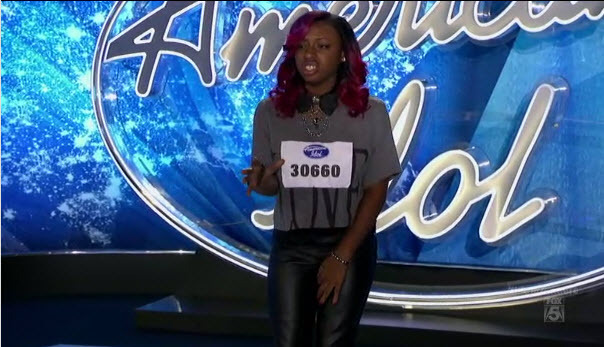 So if you can’t wait until the American Idol 2015 auditions are over to find out who wona Golden Ticket, we have a big list of winners for you right here! here! Our fabulous sources, including our friends at The Idol Pad, have slowly been unveiling a fabulous list of American Idol spoilers on who progressed to season 14 Hollywood Round. Get your very first look at the future potential American Idol 14 finalists right here at American Idol Net! Please be warned that obviously this list will include a ton of spoilers about the contestants who made it through the American Idol 2015 auditions rounds. In addition, clicking through to social media links in contestant info may reveal obvious spoilers on whether a person survived Hollywoood Week. This list was primarily composed from respected spoilers sources The Idol Pad, MJsBigBlog, from our own investigative research, and reader tips to AmericanIdolNet.com. Also, please be aware that although our American Idol spoilers sources have a great track record in providing accurate and spot on information, sometimes there are errors. So it is possible that some names may be incorrect (rare) or missing (more likely), or that we might end up with the right name but the wrong person info. We will, of course, fix any errors as soon as we find them! * Direct tip from our readers. Please send your tips anonymously to matt@americanidolnet.com or post in the comments section below. ** Sourced from anonymous tips to MJsBigBlog.com. We are always thankful to the amazing folks over at The Idol Pad and other sources for sharing their astounding detective work and insider information every season for American Idol spoilers. We take the names they find, the names we uncover, insider info from our readers, and go from there in tracking down all the info we can. Special mention also to MJsBigBlog.com, which dug up a few names we haven’t found elsewhere yet! I notice a few Voice contestants (one top 16). Randy Jackson says thart the Voice is for 2nd chancers (AI castoffs). it looks like the Voice talent has moved up now to where AI is sending them to Hollywood. Fat chance they will get very far because that would mean the Voi talent pool has “MAYBE” caught up to AI after 7 seasons. Still “NO” Kelly, Carrie, Jenifer Hudson, Fantasia, Adam, Chris Daughtry, Phillip P., Scotty C., Jordon S., and soon to be Jena Irene, etc..
Watch Jena Irene: Seahawks & Panthers Sun. @ 1 (10-26-14)singing the National Anthem (much like Ariana Grande’ in 1rst Seahawks game of the year). whatever happened to angie miller?? I liked her. Angie didn’t get signed to a record label, so she’s doing it all herself. Scroll down or 2nd page to see her new album “Weathered” on this site. Jena has sent 3 original samples to labels and has gotten interest. She says she should decide who she goes with by Jan. 2015. Look for her youtube Bay City Concert performance this Sat Nov. 15th sometime in the next couple of weeks to hear two of the 3 originals sent to the labels. Cameron is missing out??? He made it…. 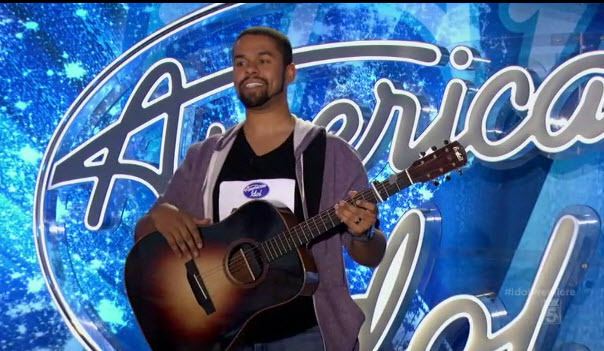 Taylor Ray Holbrook made it but they didn’t show his audition…. Chad Robin is a golden ticket winner who’s audition wasn’t aired! Laurel wright got a golden ticket but her audition wasnt aired. She won the 2012 texaco showdown and the ritle bof best new act in country music. She sings at tootsies and the row in Nashville. She has an excellent voice she has performed and opened for major country stars. Her album always remember me is on ITunes, google play, and spotify.She writes her own music and plays guitar. Check out her new album. Not the nervous audition on idol.